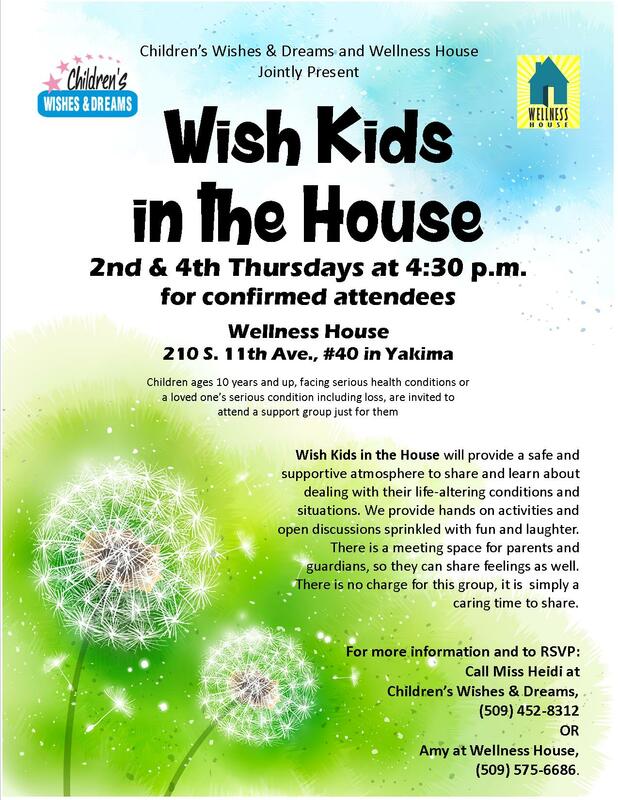 Wish Kids in the House 2nd & 4th Thursday at 4:30 p.m.
Kindness. Compassion. Care. Hope. Support. FREE programs at Wellness House. Have you or a loved one been diagnosed with a life-threatening illness? Are you seeking support for you and your family during this difficult time? You've come to the right place. 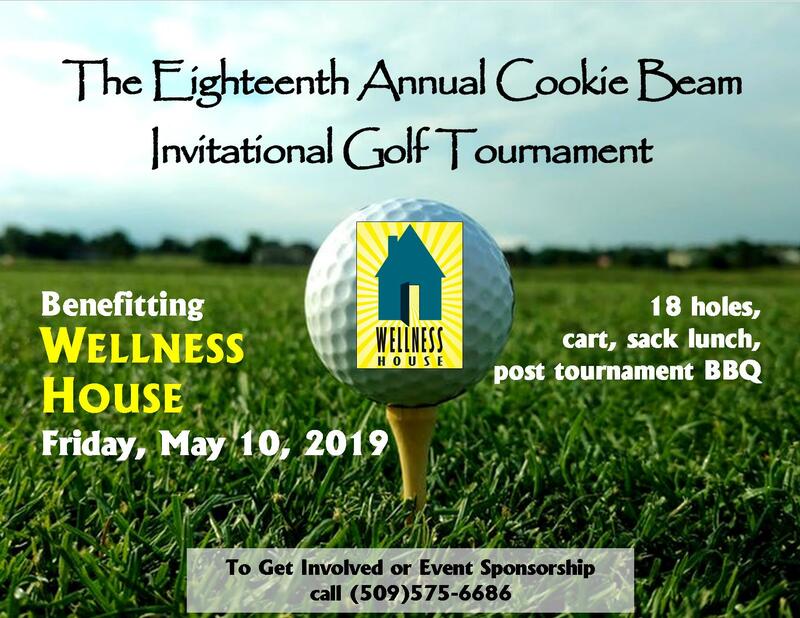 Whether you've been diagnosed with cancer or you feel like you're fighting a losing battle against depression, count on Wellness House to be there every step of the way. We offer free support services, education and resources to individuals suffering from cancer or other life-challenging illnesses. We understand that illnesses such as these can take a huge toll on the patient and his/her family, that's why we are dedicated to providing a safe, nurturing environment they can seek for support. An inviting and comfortable house located in Yakima, WA, Wellness House is the perfect place for you or your loved one to find encouragement as you deal with new realities in your life. Our goal is to create a community of hope and support for you and your family. We offer a wide variety of support services, such as those listed below, for individuals diagnosed with cancer, Hepatitis C, Fibromyalgia, chronic pain, ALS, depression and other life-altering illnesses. Shop for a wig or hat before you undergo chemotherapy, or sort through your feelings in a counseling session. Whatever resources and support we can provide you with, we will. You can never get enough support during life's challenges. Let Wellness House join your support team of family, friends and medical providers. Call 509-575-6686 or stop by for more information today!